December makes us feel the coming of full-fledged winter. 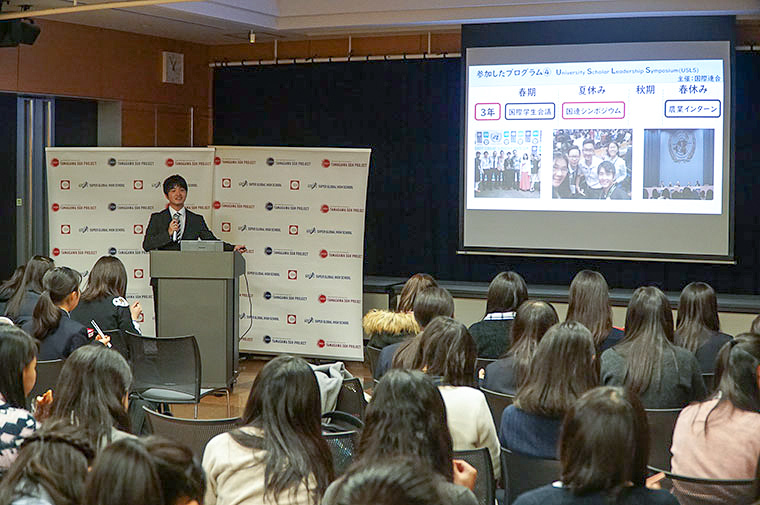 The lecturer at this Global Career Course Lecture was Mr. Rin Maki, a 4th grade student from the Tamagawa University College of Agriculture. 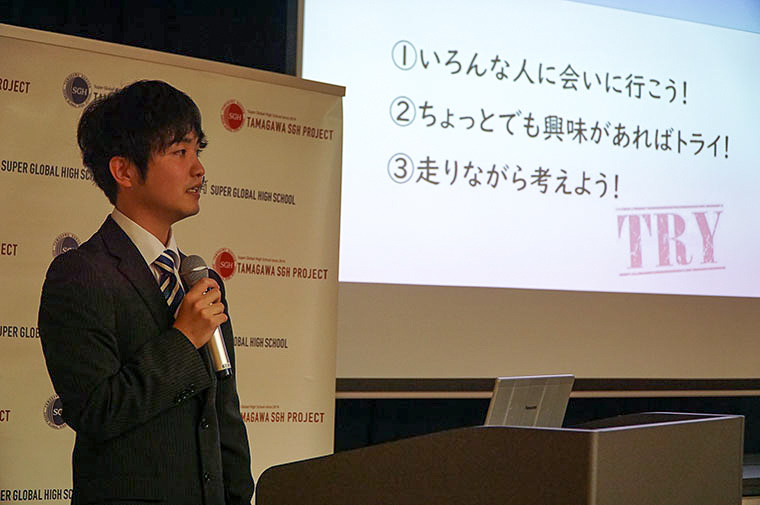 His lecture started with a self-introduction. He talked about memories with family when he was young. He also spoke of his experiences hitchhiking while he travelled by himself. These stories, told by someone so close to their own age, immediately sparked curiosity in the students. Mr.Maki grew up around nature. He developed an idea of wanting to “learn about agriculture and become an biology teacher”. He entered university and follwed his dream. 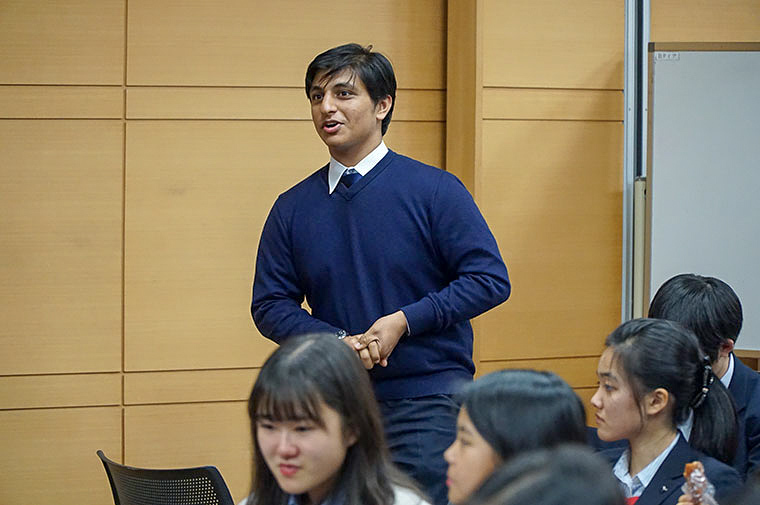 The reason he changed his focus international agricultural cooperation was because of classes he took from assistant professor Koji Ishikawa in the fall of his first year at the university. 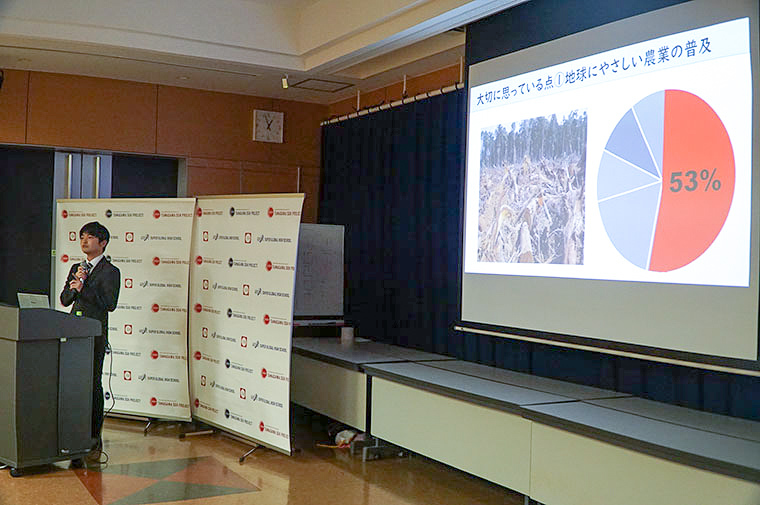 Associate Professor Ishikawa was engaged in agricultural policy as a development consultant in South Sudan and his lectures were an eye opening experience. “I learned that there were many people in agriculture in developing countries and it was a great shock” Mr.Maki said,looking back. During Spring vacation in his second year, Mr. Maki went to Cambodia to teach growing techniques. 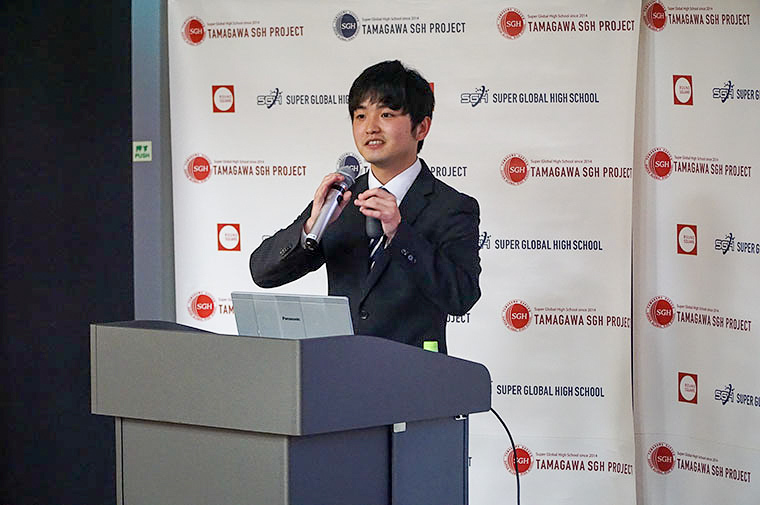 The program was introduced to him by Pofessor Ishikawa. Mr. Maki decided at this time “I will work in international agriculture”. 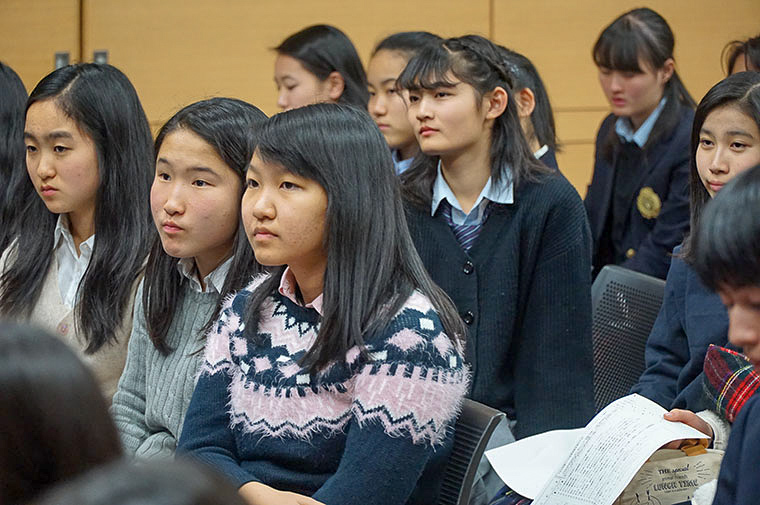 After that, Mr. Maki participated in overseas training programs for students such as EurAsia Youth Summit and the University Scholars Leadership Symposium. Currently, he is actively engaged in discussions with various people both at home and abroad and seeking international cooperation in the field of agriculture. “My dream is to support small-scale farmers through international cooperation on agriculture,” Mr. Maki said as he explained his vision for the future. Subsequently, he talked about the two events that shaped him as a person. 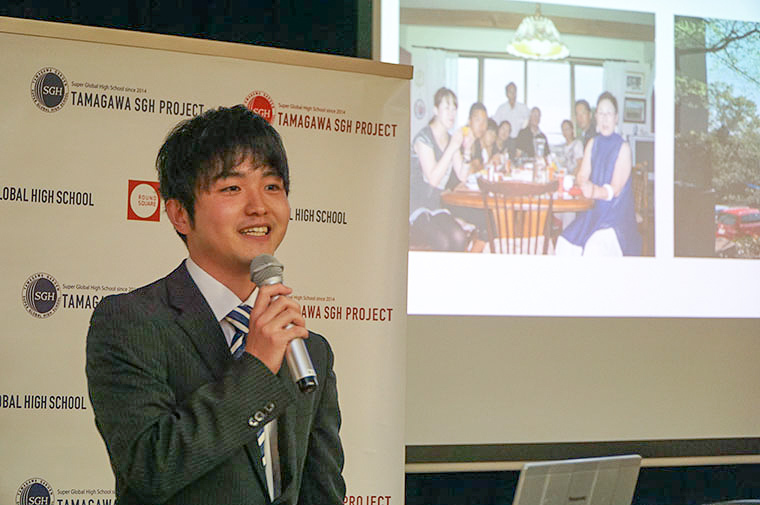 Mr. Maki will work on cultivation programs in Mozambique as a member of the Japan Overseas Cooperation Volunteers from next year. 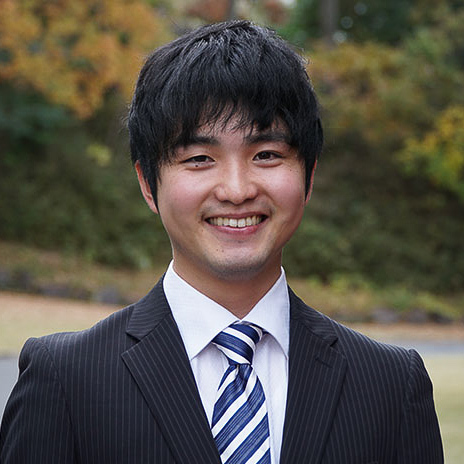 He is commiting to his goal of supporting developing countries as a development consultant. Mr. Maki ‘s words conveyed the importance of working towards your goals. 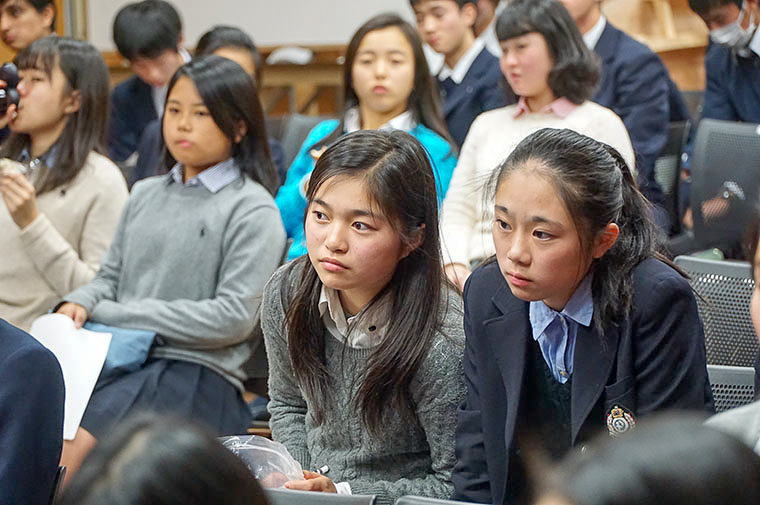 Some students asked questions after the presentation. Mr Maki’s stories of his experiences inspired the students and showed them that taking action toward your dreams is an important step in realizing them. 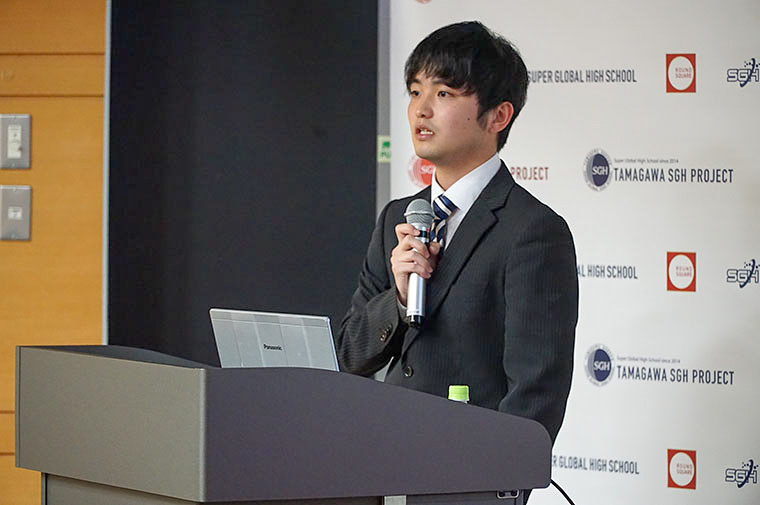 Graduated from Aichi High School in 2014. In the same year, entered Tamagawa University College of Agriculture. 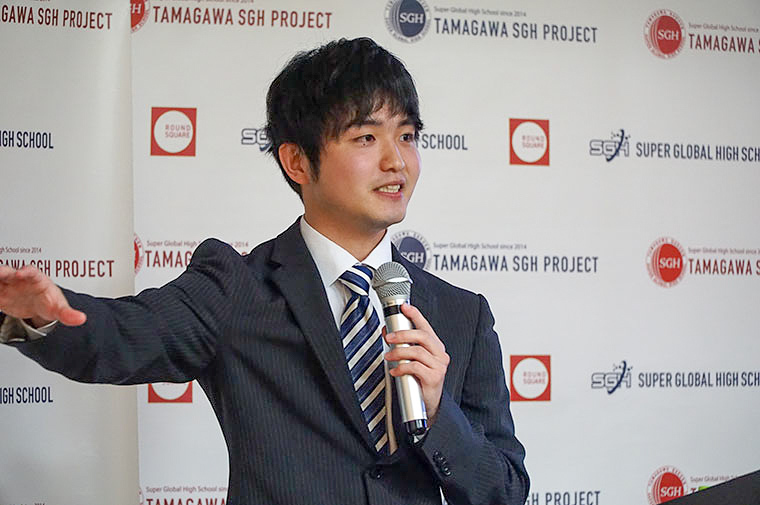 In 2017, he won first prize at Tamagawa Global Leadership Fellows. Participated in the EurAsia Youth Summit, the 8th University Scholars Leadership Symposium organized by the United Nations. 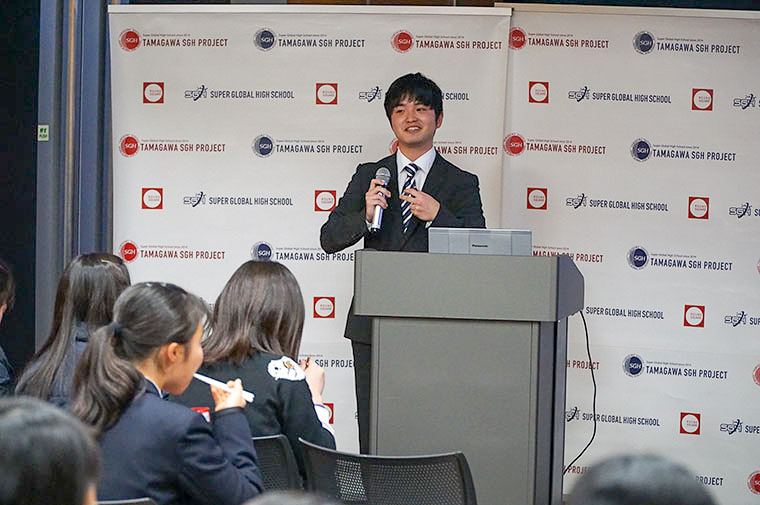 In 2018 participated as a representative of Japan "Study of the U.S Institute for Student Leaders on Global Environmental Issues" sponsored by the US State Department. He is working to promoteinternational agricultural cooperation for farmers in tropical regions.